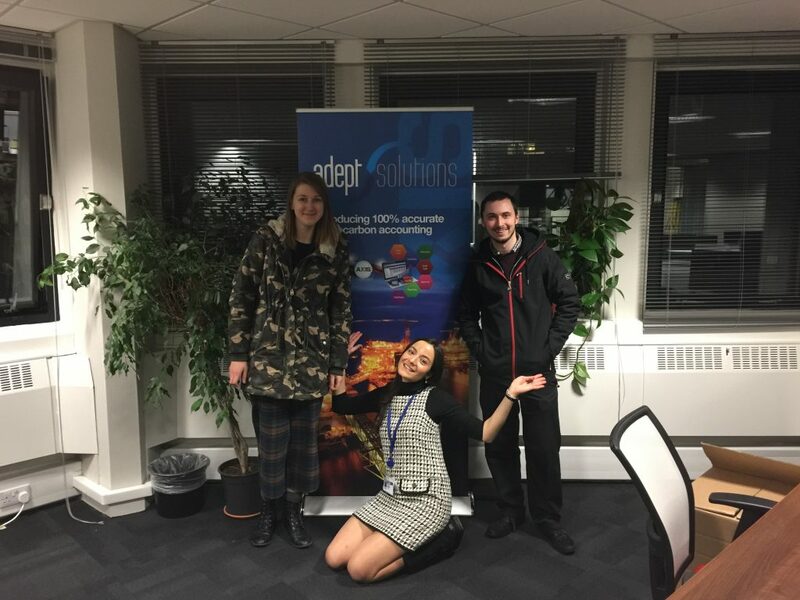 Last week Adept Solutions have expanded into new central offices at Bluesky Business Space, 11 Chapel Street, Aberdeen. We have upgraded to a spacious open plan office. It has been a great year for Adept Solutions and the team are looking forward to another exciting one ahead. From left to right: Anna Losowicka (Graduate Software Engineer). Natalia Kocheva (Business Support Graduate) and George Paterson (Software Engineer).